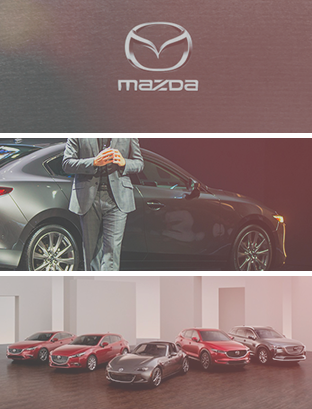 Scarboro Mazda makes purchasing or leasing your next Mazda an enjoyable experience. We have a variety of financing options to help you get the car you want within a budget that you are comfortable with. Visit us today! We promise to make the process as easy and enjoyable as possible. At Scarboro Mazda, we make financing or leasing your new Mazda vehicle as simple as possible. Our team of financial services experts will take all the time needed to help you find the right financing or leasing solution for you. They’ll answer all of your questions and take the time to explain every financing or leasing solution available in detail so that you can make an informed decision. We are dedicated to working with you throughout the entire process and helping in any way to make this as simple and enjoyable as possible. We will make it work! No matter your credit situation, we want to offer you all the solutions available. Throughout the years, we have learnt how to best help our customers leave with the Mazda vehicle they want using a simple and hassle-free approach. We’ll help you find the solution that suits you best! Start your financing application online today or contact us by phone to get started at Scarboro Mazda!